Creating a spa-like retreat in your own bathroom provides the perfect way to escape the stresses of everyday life, and it’s a space where you can relax in solitude. By upgrading bathroom fixtures and removing clutter, and introducing luxury touches, you can achieve that much sought-after spa-style look and vibe in your own home. Here’s 10 ways to transform your bathroom into a relaxing spa-like retreat. 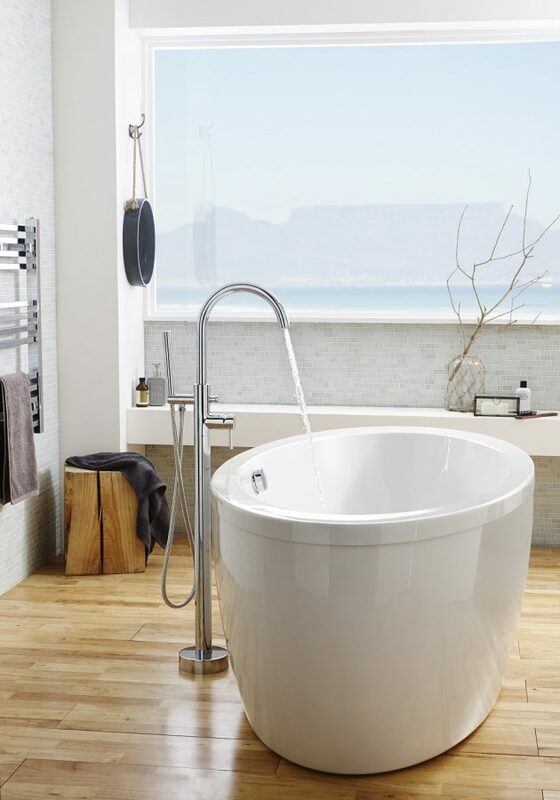 A freestanding bath has got to be the ultimate item for any spa-inspired bathroom. Freestanding baths at BigBathroomShop come in many sizes and styles to suit any requirement. 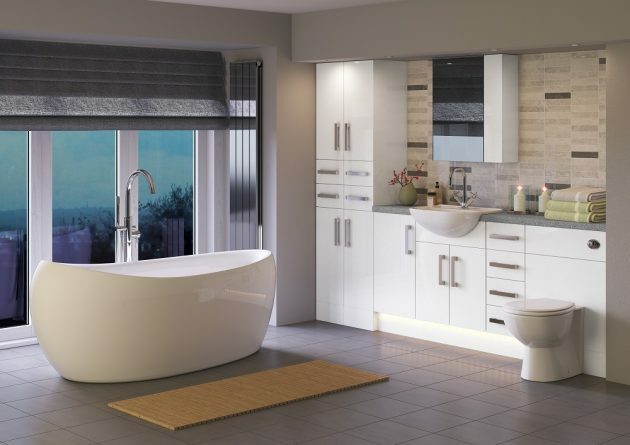 This type of bath not only creates a stunning focal point, but provides a relaxing and indulgent bathing experience. Choose a roll-top design for a classic look, or go for something curvy to add a contemporary touch. A bathroom full of clutter will not create a relaxing ambience, so remove items you don’t use every day and keep what you do need hidden out of sight in a vanity unit or mirrored cabinet. An organised bathroom will go a long way in maintaining a sense of calm. Incorporating stylish storage into your bathroom will provide you with somewhere to keep toiletries and beauty products neatly hidden away. Vanity units offer a practical storage solution, and there’s a wide range of styles and sizes available. 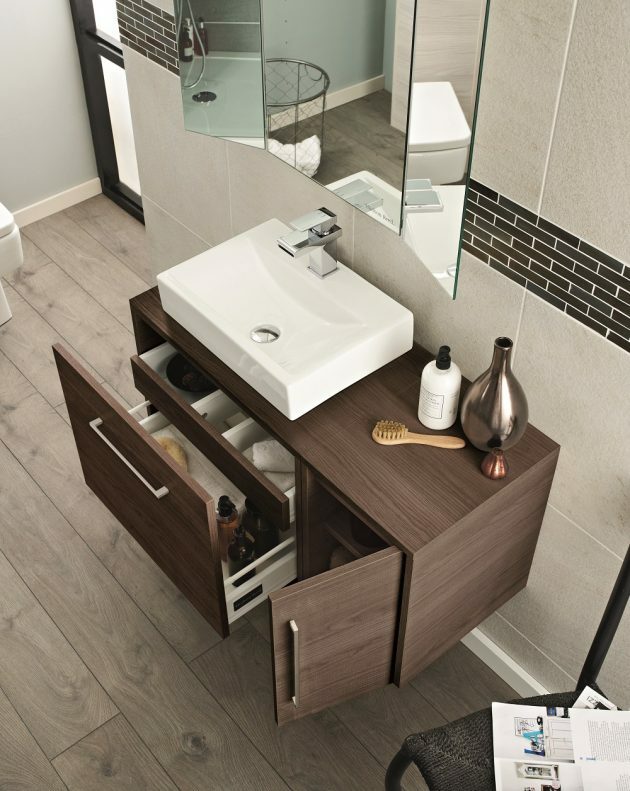 Wall mounted vanity units provide a great way to enhance a sense of space in small bathrooms. For a luxury look, choose a wood effect finish. Clear glass jars for cotton balls and wicker baskets for hand towels, will also bring a spa-style touch to your bathroom. 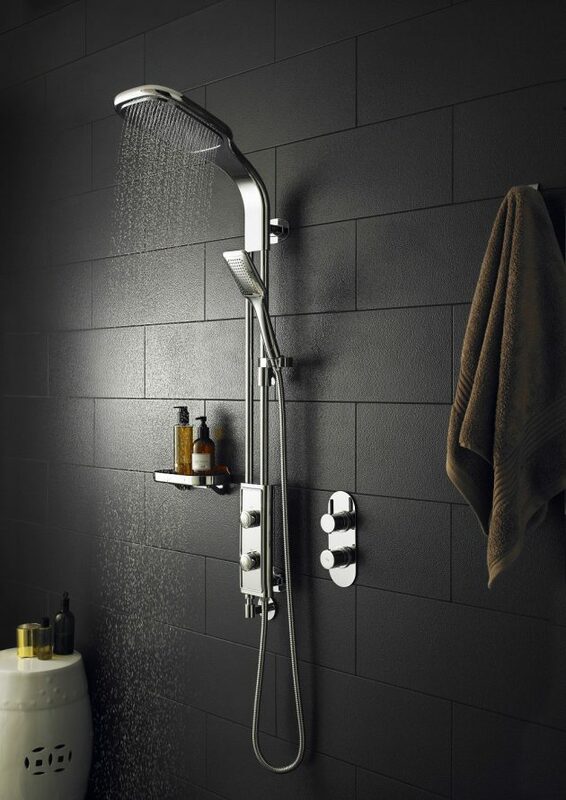 Upgrading the shower with a rainfall shower head and massaging body jets, will instantly transform your bathroom. For small bathrooms that lack the space for a freestanding bath, a stunning shower system is a must-have for adding that all-important wow factor. Before choosing a new shower, it’s essential to check there’s sufficient water pressure to deliver the best possible showering experience. Introduce an orchid or other houseplant to bring the space to life, and to create a healthy environment. Houseplants provide a really easy way to bring tranquillity and peace to your bathroom. You could add a couple of fresh blooms in a pretty vase, display some greenery on a shelf, or fit a hanging plant from the ceiling. The lighting can make all the difference to the overall feel of your spa bathroom, so it’s worth considering some upgrades. Spotlights and downlights add all-over illumination, while lighting around the mirror creates essential task lighting. Install a dimmer switch so you can change up the ambience of the room. Dimmed lighting creates a calm and restful feel. You could also incorporate feature lighting to draw attention to the key areas, such as around the bath or shower, and under shelving. 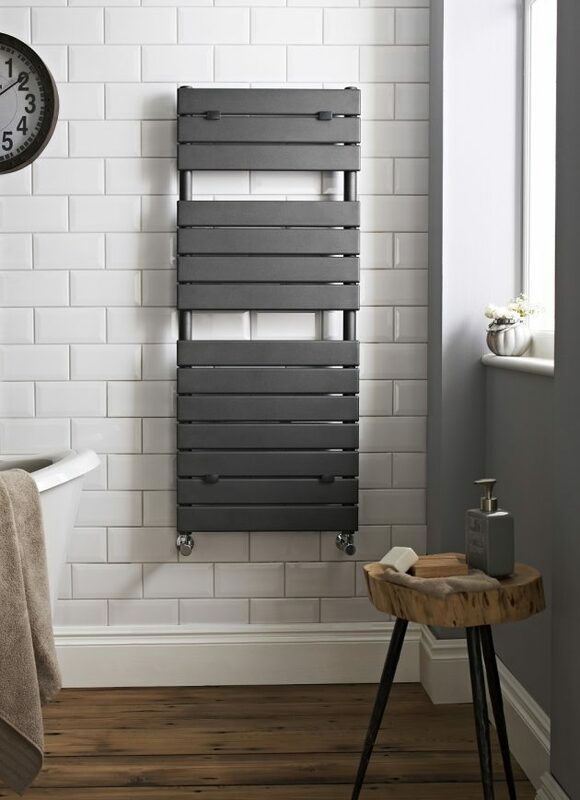 Grabbing a warm towel after a bath or shower feels great, so replace an old radiator with a heated towel rail and enjoy the simple luxury of warm towels. A heated towel rail will also keep towels neat and organised, and enhance your spa-style bathroom perfectly. Calming aromatherapy scents will enhance your at-home spa experience by promoting relaxation and relieving stress. Set the mood with essential oils, candles and scented soaps. Scents that create a sense of calm include lavender, vanilla and jasmine. It’s the small details that will bring your spa bathroom together. 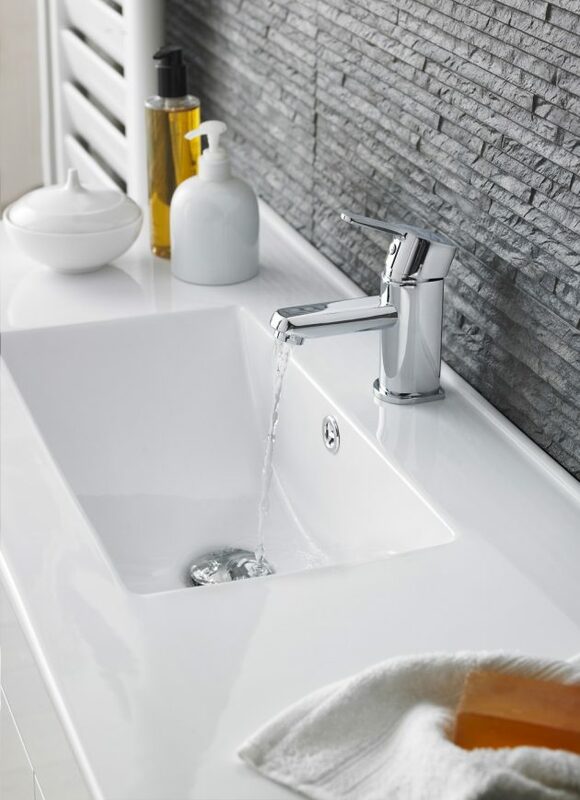 Use a tray to display luxurious beauty products, and show off beautiful soaps and hand creams by the basin. A wooden stool placed by the bath will keep your bathing essentials close to hand, and add some rustic charm too. Finally, invest in a set of quality towels and add a stylish bath mat to complete the look. Thanks for the blog, You can visit Interior designers Miami if you are looking for designer furniture.